Its sounds amazing!! I have total combination skin though and Im not sure it would work for me! Last time I used Olay I broke out SO bad! Olay products are my favorite. They absorb so well and leave my skin feeling soft and smooth and moist. I do love that this doesn’t feel heavy or greasy!! I feel like I struggle with finding the right facial moisturizer. I love Olay products! In fact, 2 friends who are dermatologists recommend Olay to me for anti-aging creams. I am exciting to try these new whips. I will have to try this. This cold winter weather is horrible on my skin. I already use Olay products. 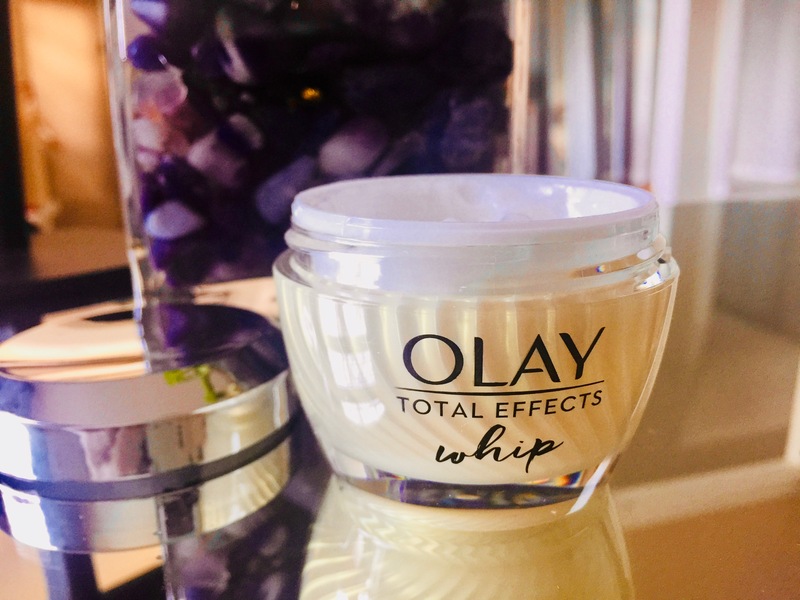 In my opinion, I think they work and I can’t wait to try this new Olay Whip with the $5 off coupon that was totally great of you to share! Being a Diabetic, I need to stay hydrated and moisturised. I am going to share this review on Facebook. Thank you for sharing! Unfortunately I dont have a smartphone so cant do the coupon or a printer hooked up but I bet that there will be a paper coupon coming out. I have used Olay for many years. Gosh I remember my Mom using the original Oil of Olay! This stuff works well. I am going to look for this at Walgreens. Tackle that dry skin easily! Olay has always been my go-to. It has the best quality products that provide results. I am looking forward to heading up to Walgreen’s tomorrow. I thank you for giving me the answer to this problem. I love whipped lotions/creams. Thanks for the review. Olay products have not worked well for me. Sorry. I have used Olay for years and have always loved it. I am for sure going to be looking for this product!Gave you a share too as @tannawings on twitter. I really love Olay and will be looking for this at Walgreens. I cant get the smartphone discount, but many times there are paper coupons available or in store. This looks so nice and creamy. I love that it is whipped. I love Olay products so much. I absolutely love whipped products. I am currently searching for a more cost-effective moisturizer than my Philosophy Hope in a Jar. The more I think about it the more I know that it might be a winner. Can you imagine the powerful 1000x it’s weight in hydration paired with Hyaluronic Acid? I am using a great one that Allison from Never Say Die Beauty recommended it has 45% Hyaluronic Acid and 5% Sea Buckthorn in it. IUNIK Vitamin Hyaluronic Acid Vitalizing Toner is a Korean Brand but it is absolutely marvelous! My skin has also been very dry from having the heater on and I hate having dry, flaky skin! Will definitely be picking up Olay Whips and give it a try! I love Olay products. I want to give this one a try! I love oil of Olay products. I haven’t tried the whip yet. I bet it feels amazing. I get super dry skin in the winter because I live in MN with no humidity in the winter. I would love to try the Olay whips! This sounds amazing. Need to try this. I’m kind of a cream lover so I’m interested in trying different kinds like this one. It is hard with cream as you can’t touch dry anything for a couple minutes. Like many others, my skin gets very dry in the winter and requires a lot of moisturizing. I’ve been using Olay products all my life. I don’t have the problem with winter dry skin since it doesn’t get cold here. What we consider cold in South Florida you would consider a balmy day! I have used Olay products off and on for years and the Olay Whips sound like a great idea. My skin gets so dry in the Winter. I have used a lot of Olay products. I’ll have to check Olay Whips out. My oldest daughter that has had both oily skin and dry skin says she had much rather have dry skin any day than oily skin and I can’t help but to second that opinion. Due to hormonal problems I’ve had the oiliest skin of my life. I can’t even begin to explain how oily it has been. Two weeks ago I had a total hysterectomy and am praying the oily skins goes away just like the hormones have but time will tell. Having said all of that I’ve still been using an oil free moisturizer than controls the oil. We all need to MOISTURIZE even us oily people. This sounds lovely. I’ll have to pick some up when I get our meds at cvs. This sounds so luxurious. I would love to try this. I would wear it all the time opal is my birthstone. Olay makes great products. I am going to look for the whips the next time I am in the store. I need to give this a try, I have very dry skin. I use Olay products but must say this one is new to me. I will give it a try! I really need to try some of this! The next time I stop by Walgreens I will have to search for the Olay whips! Looks like I missed the coupon but it is still worth it. O like any and everything I have tried from Olay. I love Olay products, but I haven’t tried the Olay Whips before. i love olay as a brand and as a product. olay whips is so good for my skin as i removes all the ugly dirt and keep my skin fresh and clean. I have always been a huge fan of Olay because of my Nana and my Mom. This sounds great and the whipped texture must be so soothing! I am going to try this when I run out of the product I am using now. I’ll have to try this! My skin is so very dry, mostly due to my medications. I don’t have super dry skin, but between winter and my age, things are a little dry. Will give Olay Whips a try. I suffer from dry skin on my legs but my fave is combo and hard to keep happy. I’ve been hearing about Olay Whips – they do sound nice. I’ve been using raw organic coconut oil, but I can’t put it too close to the skin under my eyes, it irritates them. So then I have to use something else near my eyes. I’d love to try this. I absolutely love Olay products! My mom got me hooked! I am absolutely going to give this a try. I actually like creams but there is definitely a very fine line between just thick enough and too heavy. My face isn’t dry but I could use this everywhere else on my body, especially my hands! I received a sample of this and love it! I absolutely love Olay products and use them all the time. I definitely need to try the Olay Whip. Olay makes good products so I might very well give this one a try. This winters have been hard, combination of oily and very dry !!! I should moisturize more so.